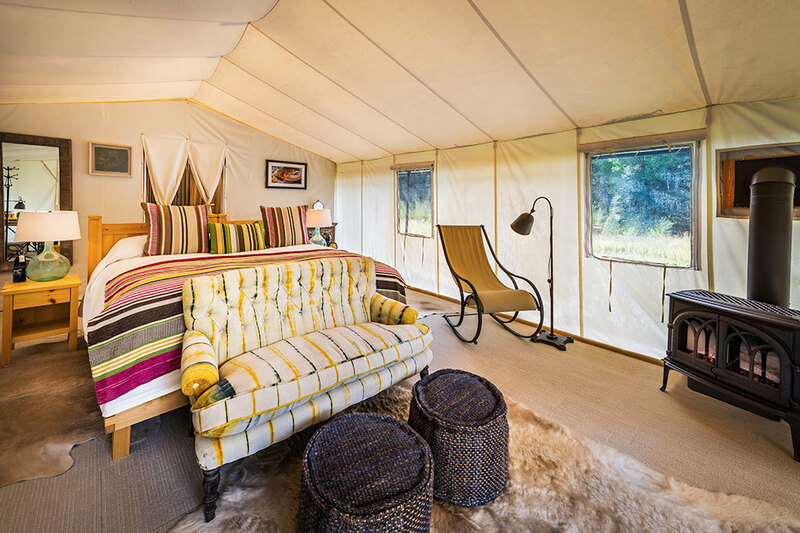 Luxury tented camp of Dunton Hot Springs on Cresto Ranch, four miles to the south in a tranquil expanse of meadow, forest and mountain overlooking a fine trout stream. Eight 640-square-foot River and Mountain tents exhibit rugged good taste with pine-framed king beds, cowhide rugs and gas stoves; landlines and Wi-Fi offered. 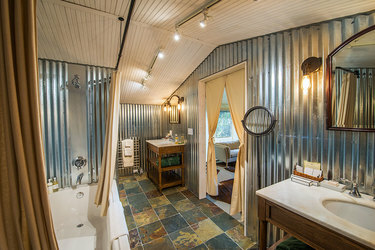 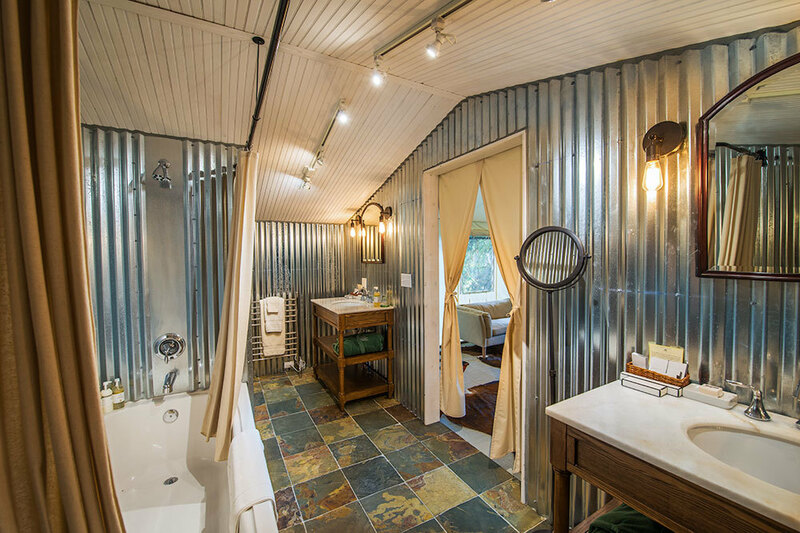 In back, each tent opens to a full slate-floored bath complete with hot-water heater and tub-shower combination. 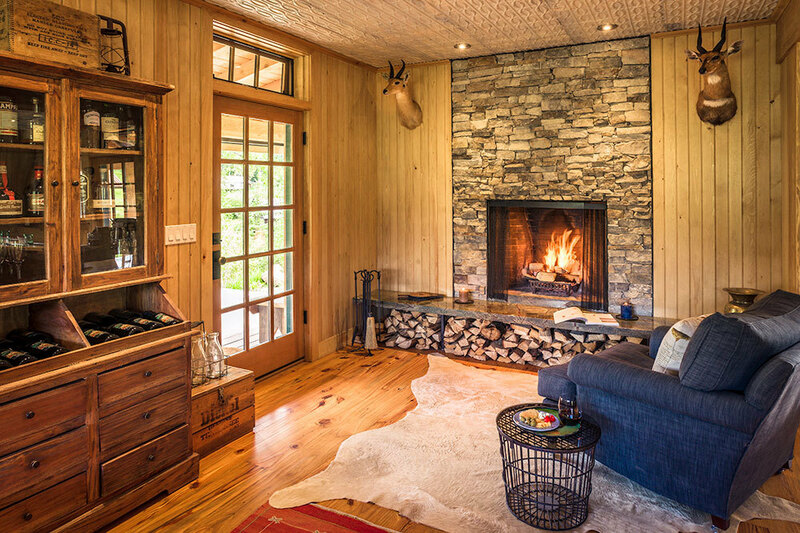 All meals served in a restored 19th-century farmhouse with dining room, guest salon and wraparound deck. 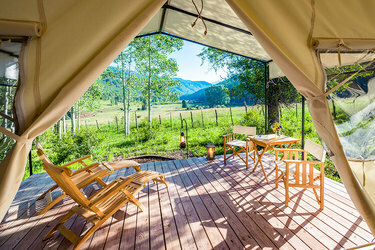 Riverside sauna, spa tent and complimentary mountain bikes; private yoga classes can be arranged. 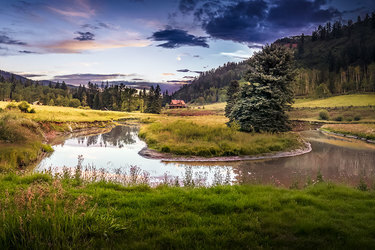 Engaging staff clearly take pride in their work. 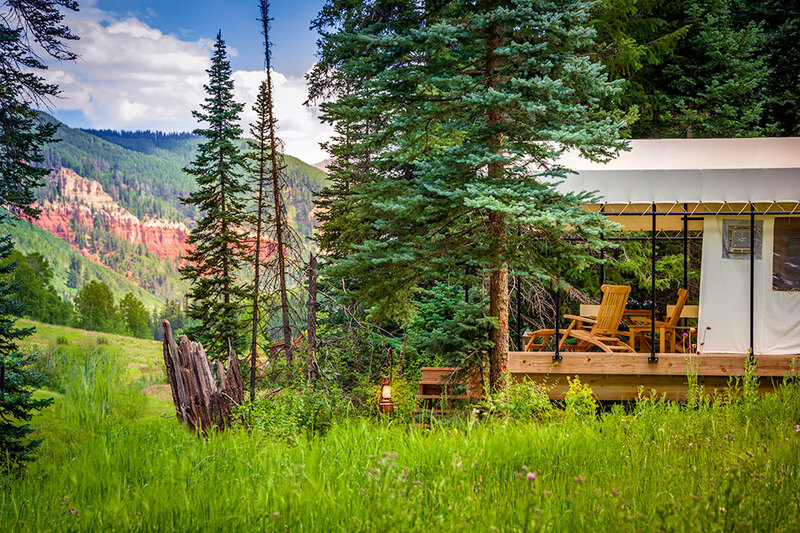 Fly-fishing, hiking and horseback riding offered. Closed from November to June. 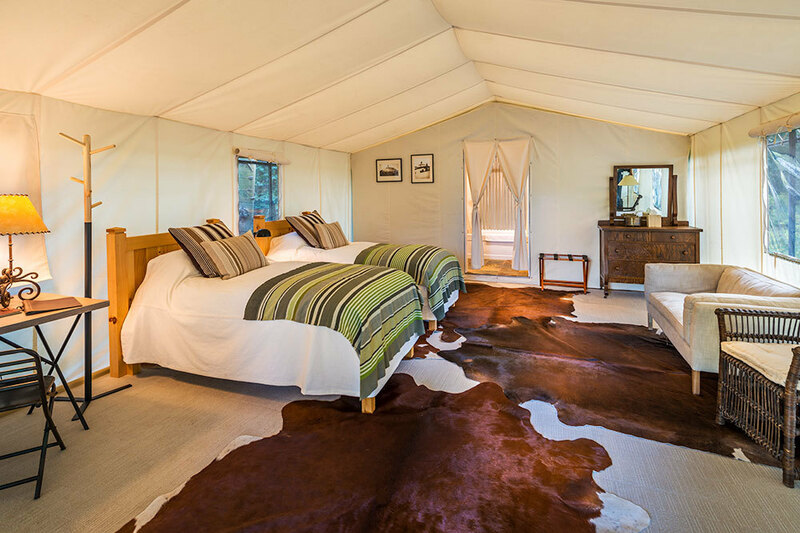 Pristine surroundings; plush tents; delicious food; friendly and motivated staff members. 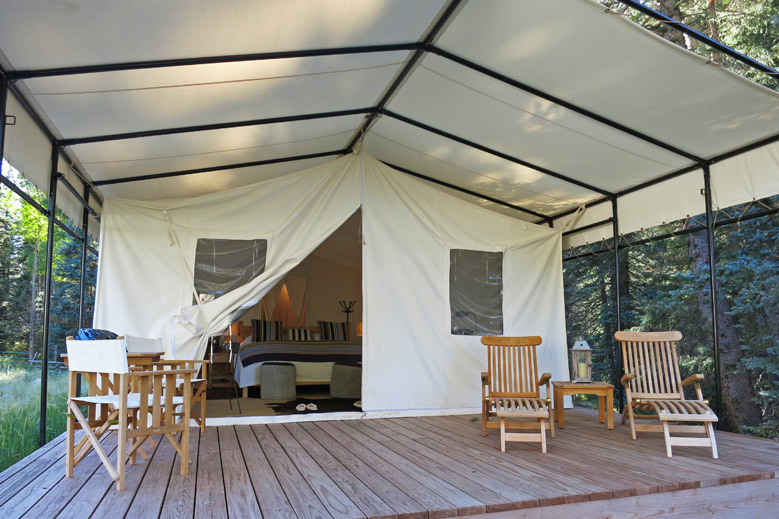 Tent heating may be inadequate for early spring and late fall. 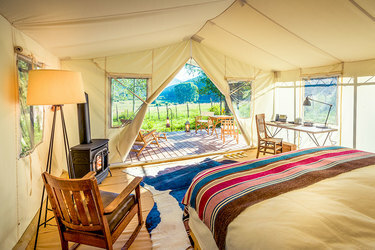 Cell phones receive no signal here, but long-distance calls from the tent’s landline are complimentary. 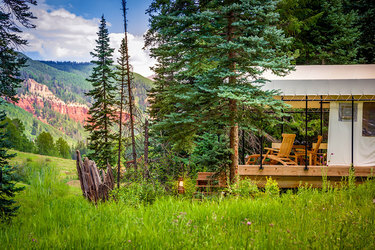 Editor’s Choice: River Tent for two, $1,700 (all meals and wine and spirits included; minimum stay required).